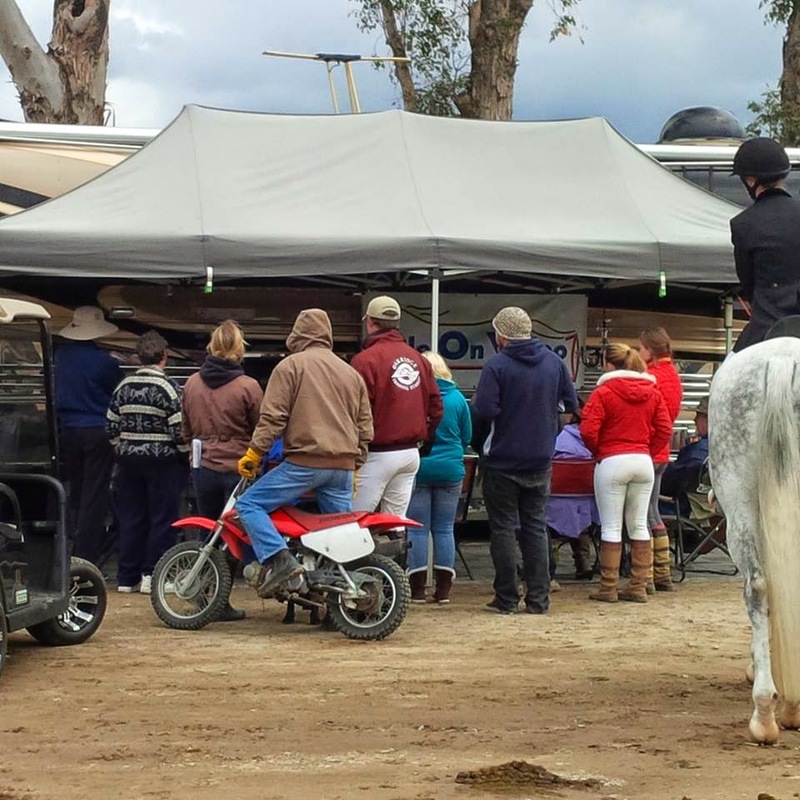 The excitement of the 2014 Rolex Kentucky 3-Day Event permeated the Fresno show this past weekend, with the help of live streaming on a giant TV at Ride On Video‘s RV. So, how did our west coast riders do? 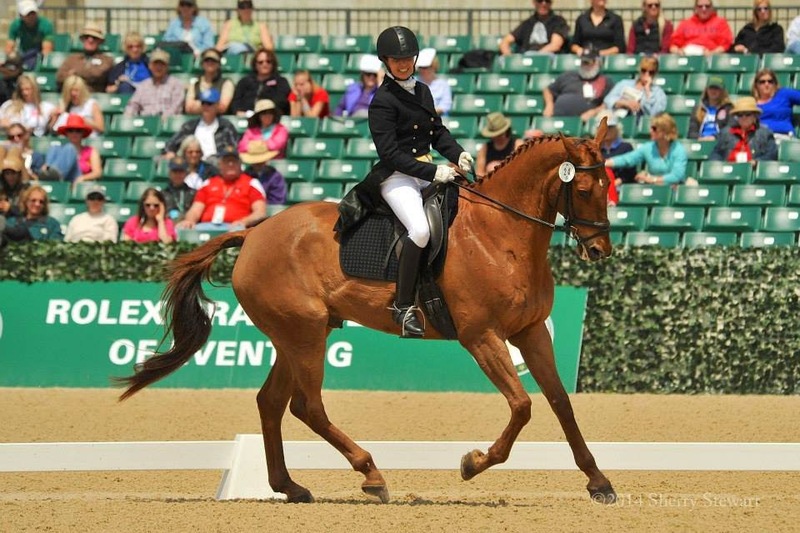 Deb and Al started off the weekend with a solid dressage test. Debbie wore her trademark smile and they looked like a harmonious team. Unfortunately heartbreak came on cross-country day, as Al refused at jump #5 (the first water) and they retired from the course. From what I’ve heard and seen, Al is a challenging horse. When he is game, he is unstoppable. He’ll jump the moon and gallop like there’s no tomorrow. But when he doesn’t want to play, he just simply wont. And as any eventer will tell you, the horse’s heart has to be in it or else you just wont get around successfully. Jen and Billy had a wonderful weekend. This was their first 4-star event, and I applaud Jennifer for focusing on creating a positive experience for her horse. They put in a lovely dressage test, and though it had a few foibles, she kept her cool. They ran a conservative cross-country course, choosing longer approaches at the jumps with options so Billy could really see what he was doing. He got a little looky-loo at the head of the lake and even trotted a jump (isn’t it amazing that horses can trot fences even at the 4-star level?! ), but then found his groove again. They had one run-out and came in over time, but overall put in a great first 4-star cross-country go, meant to build Billy’s confidence and lay a good foundation for future 4-stars. For stadium jumping, they had some jump and time penalties, and finished 36th overall. 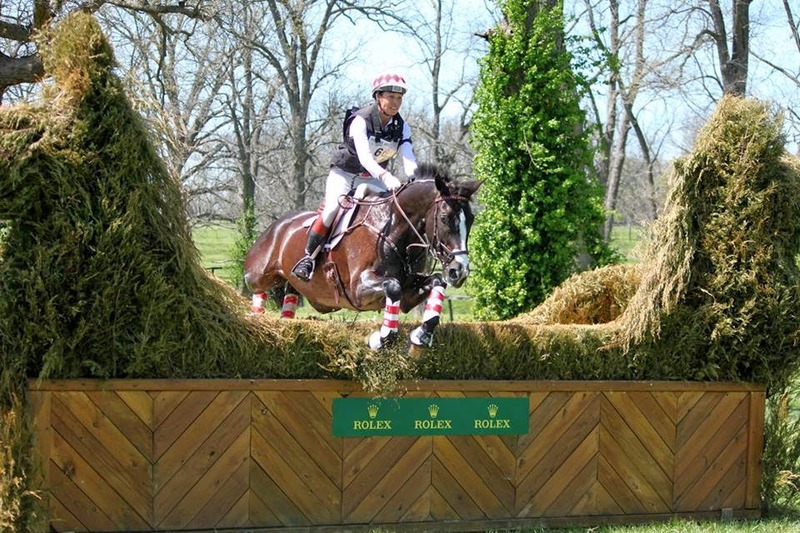 Check out their feature in an Eventing Nation’s Rolex Rookies article. Hawley and Ginny had a great weekend from start to finish. They had a truly lovely dressage test – their teamwork really shines through. Plus Ginny was looking just fabulous. She was certainly one of the best turned-out horses all weekend. They had a bold double-clear cross country go. Ginny got a little deep to a few fences, but popped right over them and made even the most difficult lines look easy. Pretty impressive for a 15.3hh horse! They knocked 2 rails in stadium jumping but had no time penalties and they ended up in 16th place. 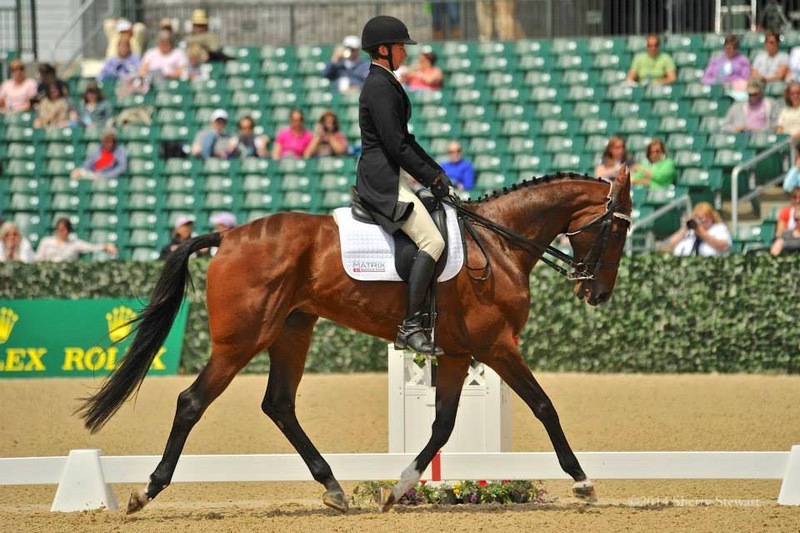 James and Parker get the west coast award for best improvement over the weekend – they went from 55th place after dressage to 22nd place overall! They had a few sticky moments on cross country, but then those OTTB colors flew because they ended up with the fastest XC time of the day! They knocked 2 rails in stadium jumping but had no time penalties. You can view the official scores here. The event was won by the amazing William Fox-Pitt on Bay My Hero. This is William’s 3rd Rolex win, and watching him ride is always insightful and inspiring. 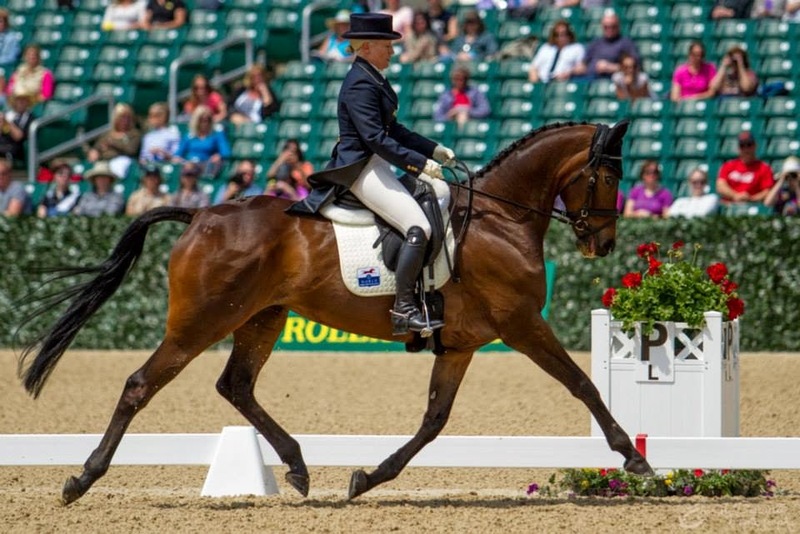 In addition to it being an international horse trials, the Rolex KY 3-Day Event is also the USEF National 4-Star Championships, with the highest-placing American rider taking home the tri-color. This year that was Lauren Kieffer and Veronica. This was only Veronica’s second attempt at a 4-star, and I love that a female horse and rider made it so far up the leaderboard! 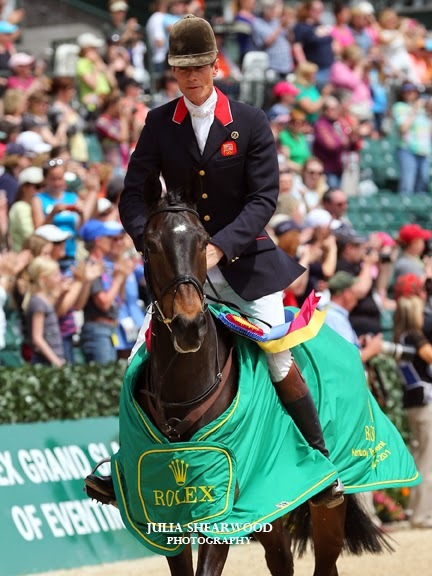 William Fox-Pitt and Bay My Hero! Watching Rolex live in-person in on my bucket list – looks like a truly energizing and fun experience!! I got to go last year and was bummed that I didn't make it this year. Next year hopefully I will! It was so much fun.